For over 15 years, our experienced Physician Employment Contract Attorneys have prepared, reviewed and negotiated hundreds of Employment Contracts on behalf of physicians, medical professionals, residents, and dentists in New York. It is critical to have your employment contract evaluated before you sign it. Simply put, you must negotiate the terms of your contract – they are often very one sided and can have significant consequences for years to come and negatively affect your future job possibilities. Do not commit to a verbal offer or a densely worded legal document that you may not completely understand and regret later. Many times you may not feel comfortable asking for better compensation, a flexible work schedule, or a more limited non-competition clause and can benefit from our experienced attorneys advocating for you. Our Physician Employment Agreement attorneys can answer all your questions and guide you in this potentially difficult time. They have negotiated many employment contracts to gain increased compensation and perks for our clients. If you're in the process of evaluating an employment contract or a partnership agreement, call our experienced Physician Employment Agreement Attorneys at (800) 893-9645 to help you negotiate the best possible contract terms. 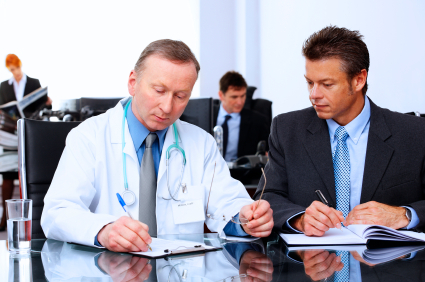 Our Physician Employment Agreement Attorneys come from a family of physicians and fully appreciate the unique issues affecting medical community. Our Employment Law Attorneys have written several articles on our Employment Lawyer blog regarding physician employment contracts. Click below for our blog articles which include tips on non-competition clauses, compensation computations, medical malpractice insurance issues and termination considerations.